WHY IS IT IMPORTANT TO EAT GRASS FED MEAT ON THE KETO DIET? It is important to recognize that ethically treated, grass-fed meat is better for you. It is much leaner than its conventional counterpart. Fat is not necessarily a problem on a Keto diet, but toxins and suchlike tend to accumulate in the fat of the animal. In an animal raised on hormones and antibiotics this is an issue for obvious reasons. Grass-fed meat that is higher in vitamin E. Because of this it will stand up to the assault of high temperature cooking better than grain-fed meat. Therefore it is even more important to select grass-fed meat when you are buying cuts like steaks and burgers etc. A good way to identify nutritious beef and lamb is to observe the fat on the meat. If it yellow and cream coloured it is rich in carotenoids. You can regard this as good indication that the animal has been reared on a grass finished diet. Grass-fed meat has also been proven to contain higher levels of key nutrients. There are also higher vitamin and mineral levels than meat and dairy from grain-fed animals. Grass-fed meat is particularly rich in vitamins A and E. It also contains minerals such as calcium, magnesium and potassium. It is high in antioxidants. In particular it contains a beneficial fat named conjugated linoleic acid (CLA.) CLA has been tied to improved immunity and anti-inflammatory benefits. The CLA levels have been found to be 2-3 times higher in grass-fed meat than in grain-fed meat. CLA is also thought to help protect against heart disease, diabetes, and even cancer. This is a huge consideration. One of the best health advantages of following a Ketogenic lifestyle, is the ability to limit, or prevent inflammation within the body. As discussed earlier, for people with autoimmune diseases this is paramount. Conventional factory farming methods have long been criticized for the amount of hormones they use. Hormones are used to speed up growth of the animals. Liberal use of antibiotics circumvents the growth of bacteria under crowded and often inhumane conditions. Who wants to eat an animal that has had a miserable life? None of us! Unfortunately efficiency trumps welfare—and animals are paying the price! Over 95% of farm animals in the U.S. are raised in factory farms, which focus on profit and efficiency at the expense of animal welfare. Identifying authentic grass fed meat is important. Although organic animals are infinitely better that eating factory fed animals, being raised on grains during the winter months is bad. This exacerbates inflammation in the animal. 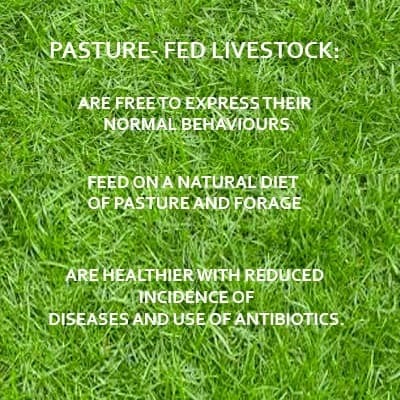 Many of the health benefits associated with pasture-fed meat and dairy decline after only a few weeks of grain feeding. Grass fed meat simply means that the cattle roamed the fields to forage and graze for their own fresh food.They may be given close substitutes like alfalfa during the winter. Unlike grain-fed animals, the objective is still to provide the closest thing to a natural diet as possible. Essentially it is important to limit consumption to meat that has not consumed grain. This is the same way that you are avoiding grains on a Keto diet. Less inflammation for them means less inflammation for you! Ethical guidelines mean a happier healthier animal that has enjoyed a happy life. In January 2106, a branch of the US Department of Agriculture (Agricultural Marketing Service) released an announcement. It said that it was dropping its official definition of “grass-fed.” The AMS claimed that it did not have the authority to validate claims that companies were making on their packaging. These were specific to grass-fed livestock. The AMS said they could not determine whether the claims were “truthful and not misleading”. In plain speech – The USDA continues to evaluate and approve farms that claim to raise grass-fed meat. 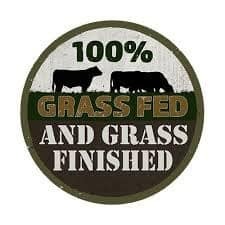 However it says that it no longer has an official definition of the term “grass-fed”. This means the phrase is now more open to interpretation. Thus it allows more unscrupulous suppliers to exploit the interpretation. Much like the way that Free range” egg farmers have done in the last 10 years. The ‘American Grass-fed Association’ is an organization that helped the USDA develops its official definition back in 2006. It has since developed its own independent grass-fed certification program. So what is the story? The long and the short of it is that grass fed meat is more expensive. Farmers typically need a year longer to fatten grass-fed cows to maturity. This is in contrast to a conventional grain-fed cow. This extra time commitment drives up all costs, both for feed and labor. Hormones or antibiotics not used in production, hence the animal tends to be smaller in size. This makes grass-fed production more expensive all around. There are numerous articles floating around that ‘boo hoo’ the superior quality of grass fed animals, but a little digging beneath the surface soon reveals that in one form or another ‘studies’ are orchestrated by the “big beef” industry. Because of the loopholes in the law (USDA) discussed earlier, by far the best way to ensure your meat’s quality is to buy from a local farm or a producer you trust. It is important to vet their practices yourself and if necessary, a visit to the farm to check first hand the welfare of the animals. This is a good investment of your time. Once you find a producer that meets your standards you will also be investing in your health. Not only can you buy from them for the foreseeable future but you can also advise your family and friends where to buy and do your bit for the environment by promoting quality production. If it is not possible for you to find a local producer that you trust, you should look for a trusted third-party verification on the package — such as the American Grassfed Approved logo or the Food Alliance certification. Make sure that when you are paying premium prices for “grass fed meat ” that you are getting what you are paying for. Do not by any means take it for granted that you are. Be vigilant about your sources! Many of the same issues as those discussed above concerning farming grass-fed beef in the USA apply in the UK. Once again the biggest problem seems to be identifying farms that raise purely grass-fed Meat. It would seem that a larger percentage of farmers feed the animals grain, prior to slaughter in order to ‘fatten them up’. This appears to happen during the most critical period, which is 80-90 days prior to slaughter. During these eleven to twelve weeks the animals must be purely grass-fed to qualify as ‘grass-fed’. This period is commonly known as the ‘finishing’ period. Unfortunately, economics on the farm are responsible for this practice. A large percentage UK farms will feed cereals and grains during this period, and many will take the animals out of the fields and bring them indoors in order to do this more efficiently. This is a wonderful association. 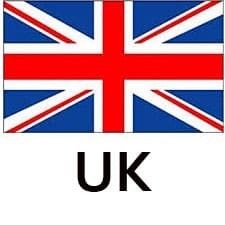 In the UK to be assured that you are buying quality grass-fed meat it is a good idea to head here first and get information on where to buy meat. The idea for the Pasture-Fed Livestock Association arose in 2009. A small group of British farmers decided to join together to extol the wide-ranging benefits of producing meat from animals fed exclusively on pasture. Since then, the Association has developed, on a very limited budget, into an active, credible organization that successfully champions the virtues of grass-based farming and meat production. 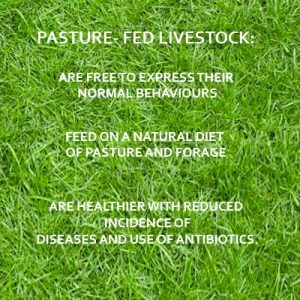 Pasture-fed livestock have the freedom to express their normal behaviours and often live in family groups. They feed on a natural diet of pasture and forage such as hay in winter. They are less likely to suffer from disease and require little veterinary attention or antibiotics. The Certification Standards, which our farmers have to follow in order to use the Pasture for Life mark in their marketing, have been developed to provide animal welfare equal to the leading assurance schemes within the UK. The carbon footprint of grass farms is significantly lower than that of farms where cereal crops are grown to feed animals. Grassland helps capture and store carbon so less escapes into the air to harm the atmosphere. Grazing animals return nutrients and organic matter back to the ground as they deposit their dung, ensuring the soil remains healthy and fertile.